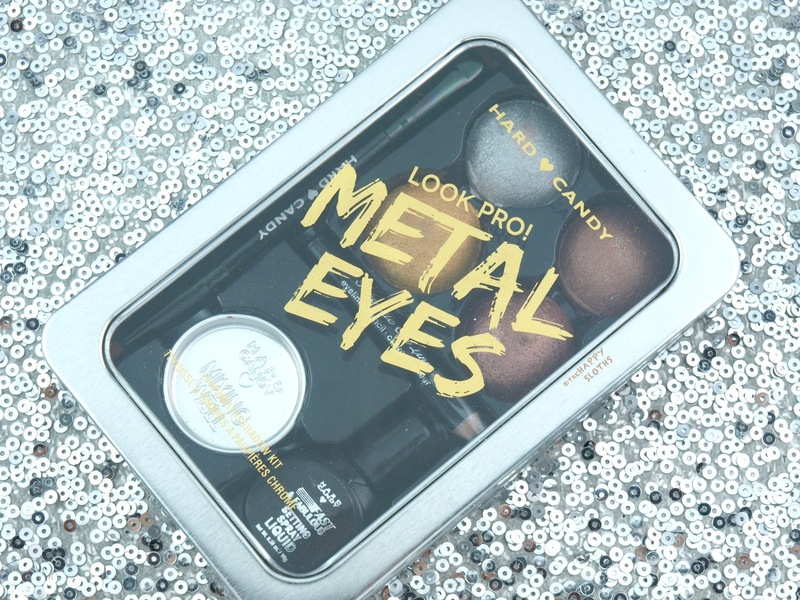 The Hard Candy Look Pro! Metal Eyes Kit comes in a simple metal tin with a clear soft plastic lid. Inside are four baked eyeshadows each weighing at 3.5g. Also included are a dual-ended eyeshadow/eyeliner brush, a small metal mixing tray, a mini black eyeliner pencil, and a "setting liquid" housed in a small plastic squeezable bottle. The quality of the brush is not too bad but aside from that, the overall packaging feels pretty flimsy and cheap, although not unexpected considering the entire kit costs only $9 CAD. 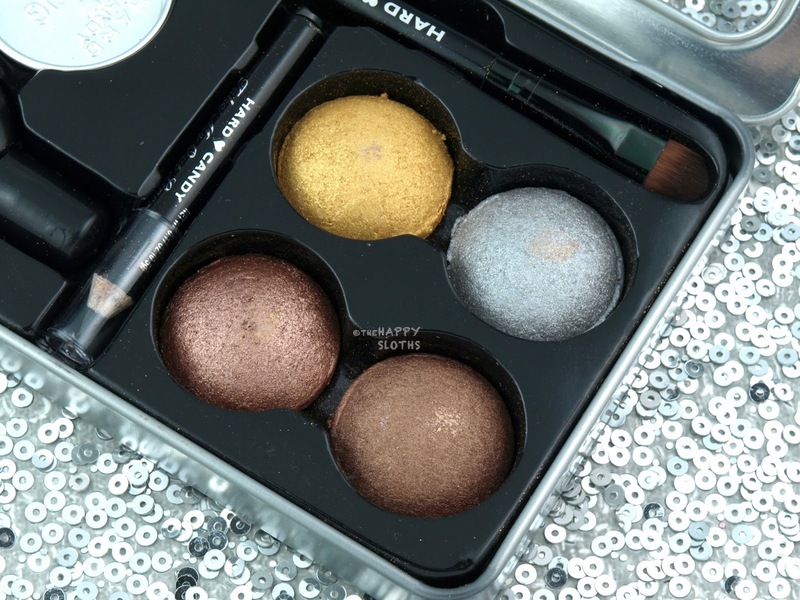 Available in a silver, gold, and two almost identical brown shimmers, the baked eyeshadows are designed to be applied wet with the included setting liquid and eyeshadow brush. 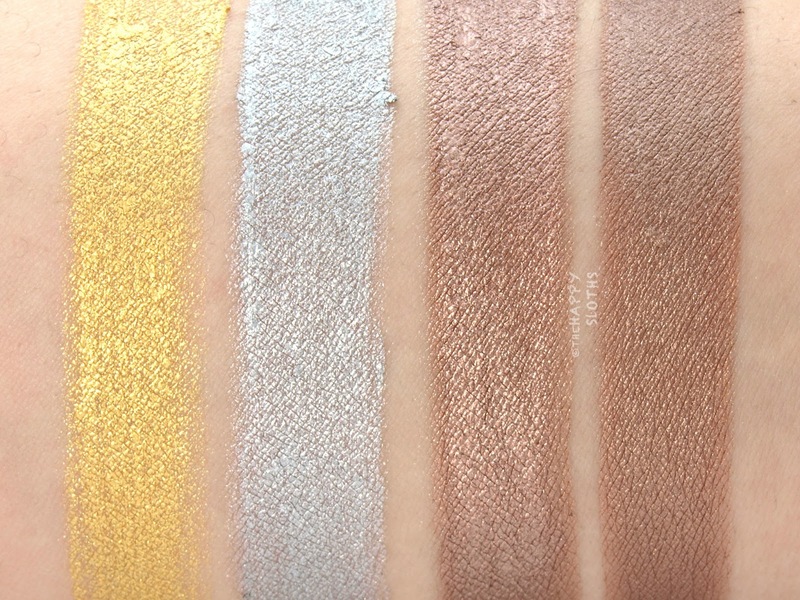 When dry, the eyeshadows are slightly powdery but not too chalky. Both the gold and silver are disappointingly sheer while the two browns are surprisingly pigmented and smooth. The included setting liquid is labeled as a "Setting Spray Liquid." Interestingly, it dispenses from a plastic squeeze bottle with a small spout opening so it's not a spray at all. 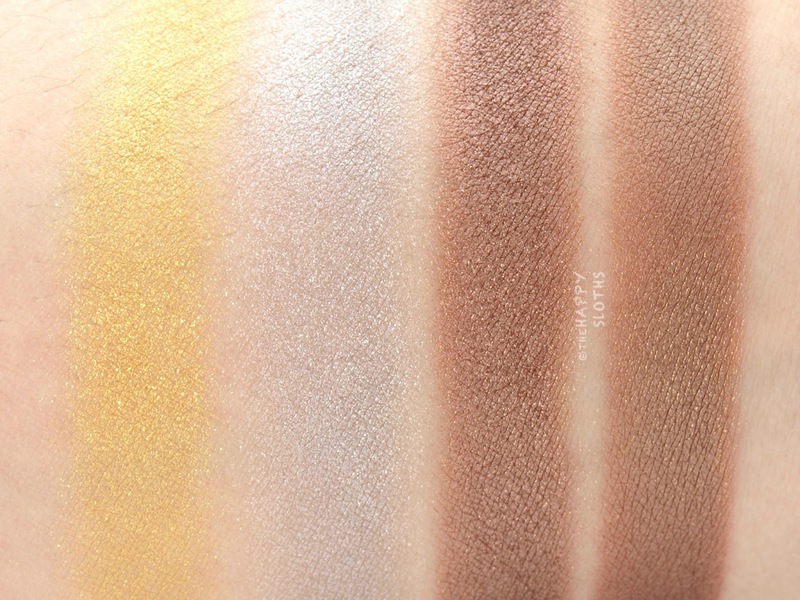 The liquid has a watery consistency and when mixed with the baked shadows, it creates a nice liquid eyeshadow that's comparatively more pigmented and shiny. As you can see from the swatches below, the shadows take on a much more metallic and chrome finish. Nevertheless, both the gold and the silver are still semi-sheer and slightly chunky. The setting liquid certainly makes the shadows a bit more long-wearing. However, once they set, which takes a bit longer than expected, the shadows are still prone to smudging, just like any other powder eyeshadow. 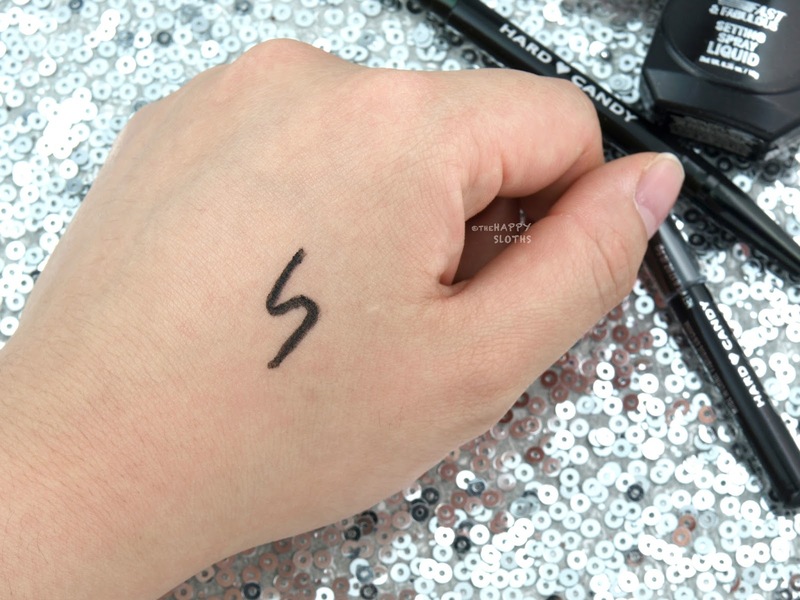 Also included in the kit is a mini black eyeliner. The color is pretty creamy and pigmented but the formulation is strangely waxy. The product does not set at all and is highly prone to smudging so I would not recommend using it. Overall, this is definitely an interesting kit! I like the all-in-one concept and the decently-formulated eyeshadows. However, the two browns are way too similar which is a shame, as Hard Candy could have easily included another shade. 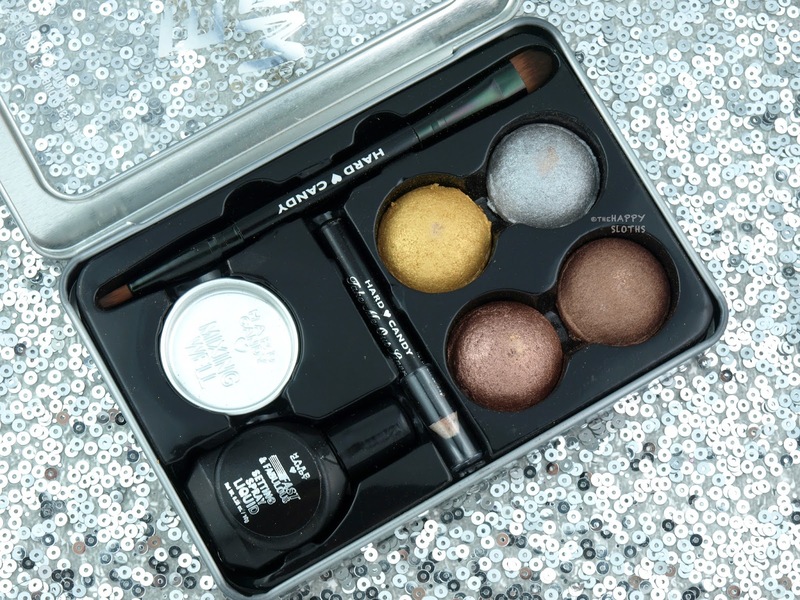 If you've been looking for a few metallic eye shadows to play with, then this kit may be worth a try but if you just want some nice affordable drugstore eyeshadows, I'd recommend looking elsewhere. 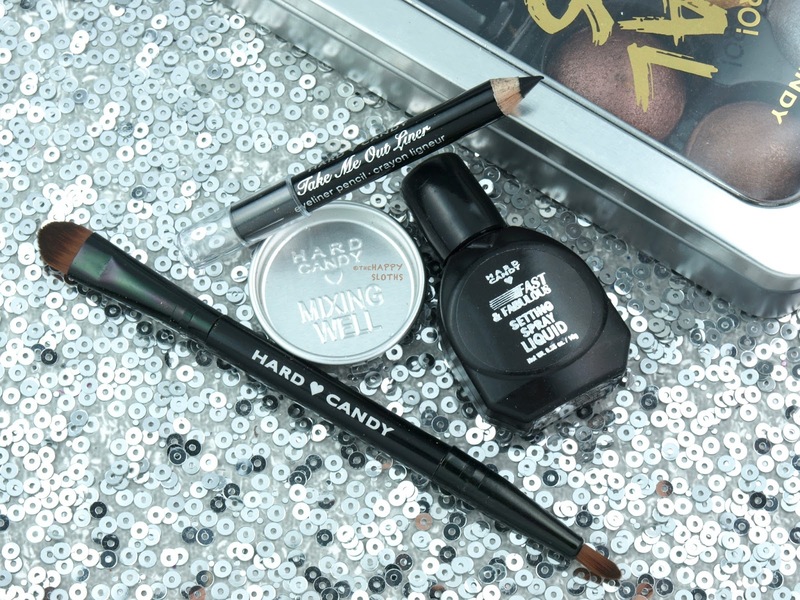 Hard Candy is available exclusively at Walmart and www.walmart.ca.